The April page from the G-Fantis Calendar 2010. G-Fantis is the mascot of G-Fan. 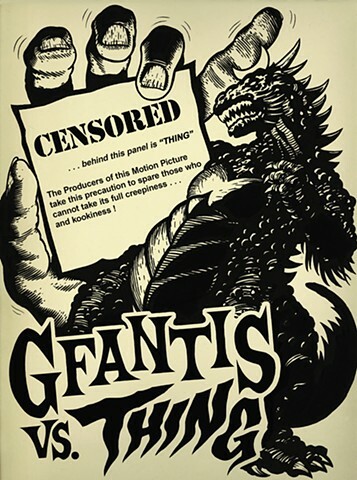 Each page is a parody of promotional artwork from the Godzilla film series, in this case a newspaper advertisement.